BHOPAL/RAIPUR: After 12 long years, Nirmalakka has finally been acquitted in all the cases that were registered against her. Carrying the court order, her family members along with the lawyer, reached the Central Jail at Jagdalpur. Finally, the ordeal ended. She is out of jail and free. In 2007, Nirmalakka was arrested along with her husband Jaipal alias Chandrashkhar Reddy in Chhattisgarh, and one, Mahendra. The police had accused her of having links with the Dandkaranya Krantikari Mahila Sangathan, hence, branded a ‘Maoist’ and year after year, police kept registering cases against her. Her husband was let off two years ago for want of evidence, but she remained in jail. Over the years, she had got acquittals in many cases but the policemen would bring new charges and register fresh cases. This continued till the year 2015. 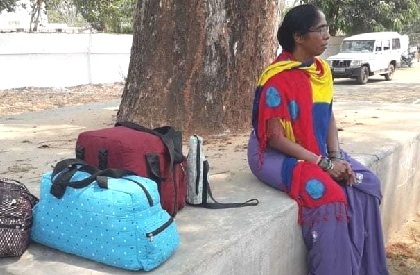 The last case was pending in the court at Dantewada and in this case too no evidence connecting her to unlawful activities was found.The prosecuting failed to prove the charges. She herself pleaded and fought 137 out of these 157 cases. While the number of cases registered against her suggest the strategy of ‘law-enforcers’, her’s is the not the sole such story. Many women (apart from men) have faced excesses and have spent long years in prisons without conviction. After getting released, Nirmalakka told media persons that she would not go to the court against the state now and instead visit her parental home. Then, she would go to her husband’s place and spend time with her family and children.